Video Friday is back after a brief hiatus for the holidays. Today’s offering is a pair of trailers for an upcoming movie from Nathan Bancroft’s Rogue State Films entitled Reach. 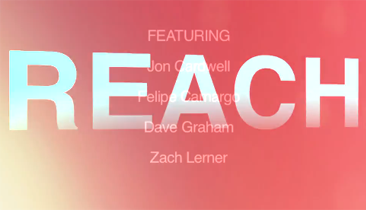 Slated for release some time in February, Reach features the likes of Jon Cardwell, Felipe Carmargo, Dave Graham, Zach Lerner and Daniel Woods bouldering around the U.S and Brazil. Wow, this looks really good. Can’t wait! to be a great watch and beautiful.